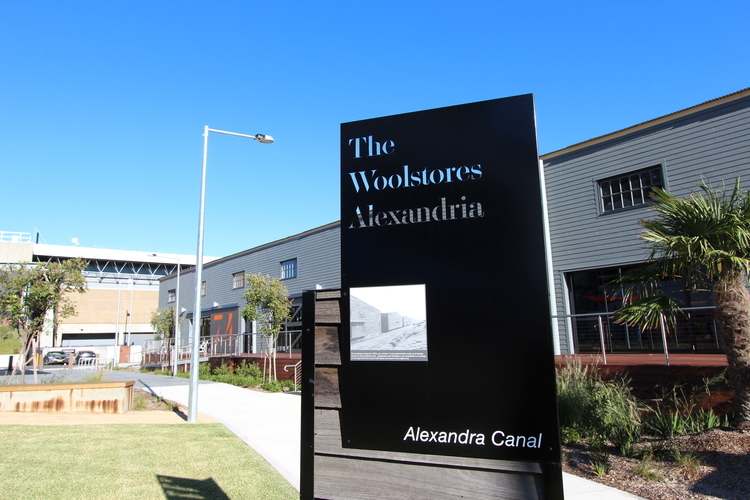 The Woolstores, is a mixed use development located in Sydney’s Alexandria. The site is is series of heritage listed warehouse’s that hail from the era of exporting wool to overseas countries during the second world war. 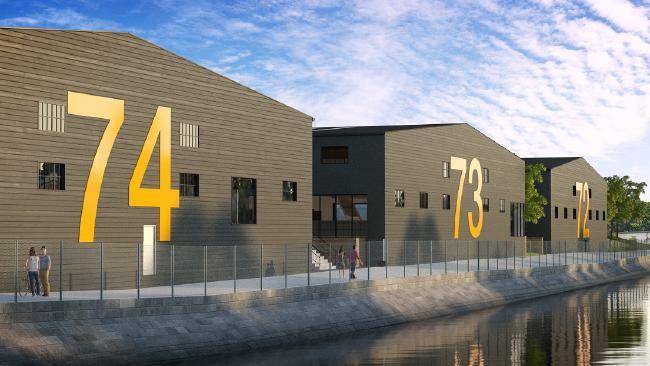 Our brief was to collate and study the site’s history and form a brief story to this and present the material throughout the development, both internally and externally and in compliance with local authorities. We designed a series of signage elements from reclaimed hardwood – initially from the original sheds. and laser cut powdercoat steel. We integrated the historic images from the site and compiled text to communicate the history of the site, including the main entry signage. Lastly, we designed the way finding system by utilising historic elements such as the smoke stack/chimney, imposing the brand and graphics to this element with hand painted signage.